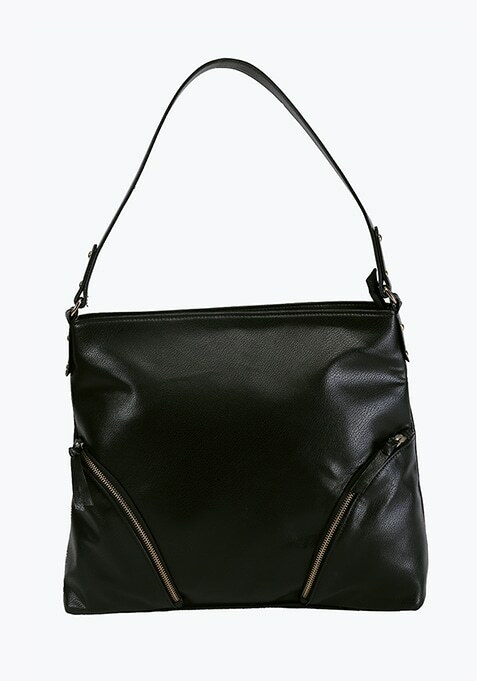 This black shoulder bag is perfect for your everyday office use. It offers an easy zip closure, ample room for all your essentials and it is easy to maintain. Work It - Looks chic with white blouse and black trousers.